－ Governor Hirai, you were born in Tokyo, but worked in Tottori while you were at the Ministry of Home Affairs (now part of the Ministry of Internal Affairs and Communications). What is it about Tottori that appealed to you? I was born in Kanda, Tokyo. After joining the Ministry of Home Affairs, I worked in prefectures including Hyogo, Fukui, and Tottori. That’s why I was then asked if I wanted to work in Tottori later. I think Tottori has a lot of potential. The prefecture has a lot that could be promoted more worldwide for tourism, such as its beautiful nature, traditional Japanese culture, and anime. 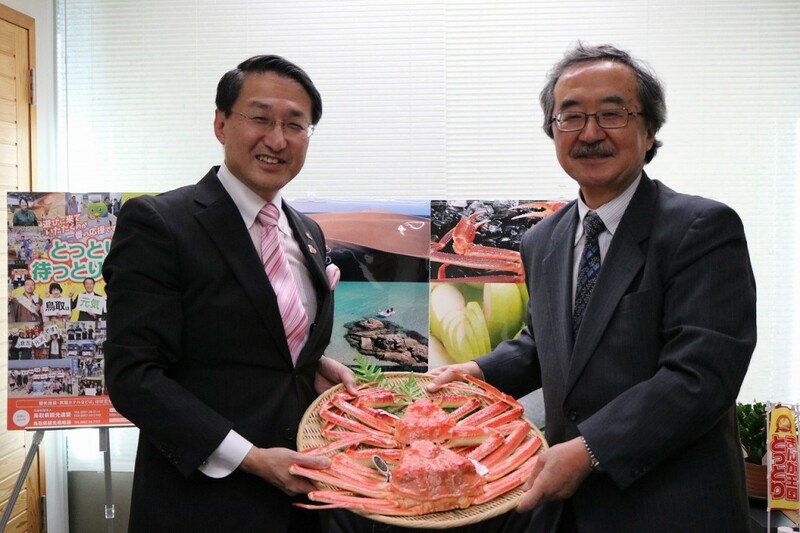 I would like to expand on Tottori’s potential as an international resort city. I’ve done a lot to try and promote Tottori, but appealing to logic doesn’t work very well, and if you want to capture hearts and minds I think it is important you put some effort into how you use words. I first realized that short catchphrases are popular with the media when the first Starbucks opened in our neighboring prefecture, Shimane. In a nationwide broadcast, I was interviewed as the governor of the only prefecture in Japan not to have a Starbucks. 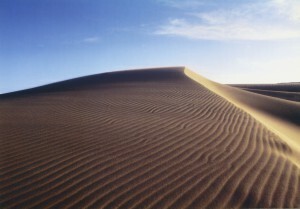 I thought this was an opportunity to promote Tottori’s attractions, and prepared pictures of the Tottori Sand Dunes. I made various comments such as “Tottori may not have Starbucks, but there are three Doutor Coffee locations,” and “The national chain Sawai Coffee started in Tottori,” but the one that actually got picked up was “We may not have a Starbucks, but we have the greatest sandbox in Japan, the Tottori Sand Dunes!” Tottori Prefecture is a small local government, so it is generally not reported on much, and there is a big media gap compared to Tokyo. Thanks to this Starbucks incident, I learned that in order to overcome that media gap, the only option is to stir things up. － I read your book Chiisakutemo Kateru [We Can Win Even If We’re Small]. You keep introducing new ideas. What initiative have you been focusing the most on recently? Tottori Prefecture has a low population, and there has been a decline of younger residents in particular, so we have been focusing on initiatives to provide support for raising children. 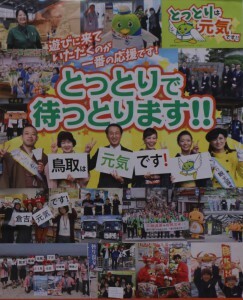 Considering feasibility and sustainability, we started subsidizing free daycare for people in rural areas, and people started relocating to Tottori. We also provide free daycare for the third child onward in urban areas, and depending on income and other conditions daycare can be free for the second child. Tottori is the first prefecture in the country to implement this system. We are also currently considering including subsidies in the 2017 budget for households that take care of their children at home without sending them to a daycare. 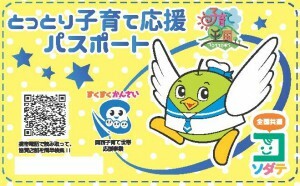 For example, around 30,000 yen per child or benefits in-kind with subsidized services. By improving support for raising children every year, the jobs-to-applicants ratio has increased to 1.69. This is the fourth highest in Japan (national average is 1.45). － I understand that nearly 2,000 people relocate to Tottori Prefecture annually. What policies have you been implementing to encourage people to move to Tottori? In 2015, 1,952 people relocated to Tottori, and 916 people moved there in just the first half off 2016. While examining what kinds of policies to support relocation are efficient, we implemented changes on the ground. As a small local government, we have the advantage of being able to communicate easily with each other, and the people working on the front lines can work together with policymakers. One reason we began working on policies to encourage relocation is because 10 years ago, in October 2007, the population of Tottori Prefecture fell below 600,000. We started by making a consultation center for relocation support and a web portal for relocating to Tottori. This would not be enough to encourage people to relocate by itself, so we also decided to put vacant houses to use. We implemented subsidies for updating plumbing, and provided opportunities to experience living in Tottori before moving there with “trial homes.” We also put into place a system guaranteeing the equivalent of a starting salary to people doing agriculture. I believe that lateral solidarity, such as creating resident organizations that include people who recently relocated, is part of the reason more people are moving to Tottori. － How has reconstruction been progressing after the earthquake in central Tottori during October last year? After the earthquake on October 21, 2016, we received support and messages of encouragement from throughout Japan and around the world. I would like to say how grateful I am. Approximately 14,000 homes were damaged, but we worked quickly to carry out reconstruction, which was possible because we are a small prefecture. Emergency reconstruction was finished in just over a week, and schools reopened within four days. We worked to try and return people’s lives to normal as soon as possible. Unfortunately, tourism suffered, as many people cancelled their plans. There were approximately 45,000 cancellations of trips and hotel reservations. 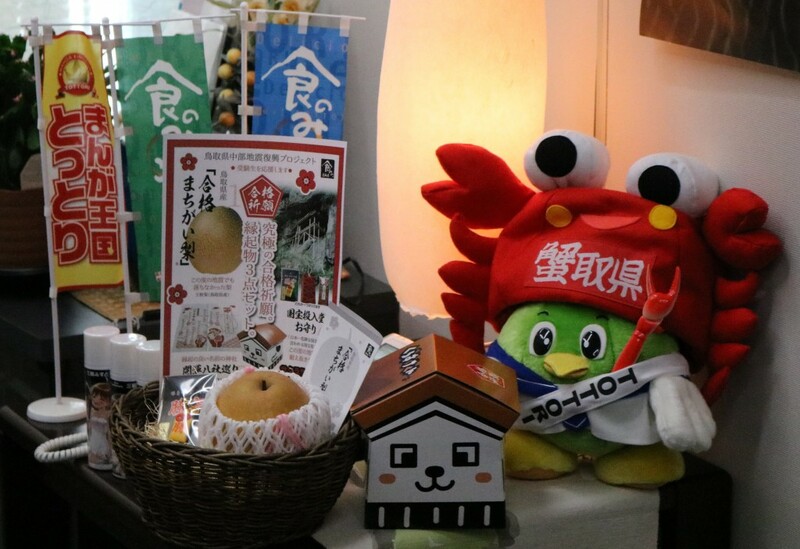 In response, we organized a promotional tour around Japan about how Tottori was recovering. With support from the national government, a tourism campaign was also held from January to March 2017. － The number of foreign tourists in Japan has been increasing in recent years, with over 20 million visiting during the 2016 fiscal year. The national government’s goal is for 40 million inbound tourists in 2020, but some suggest that an even higher number is possible. 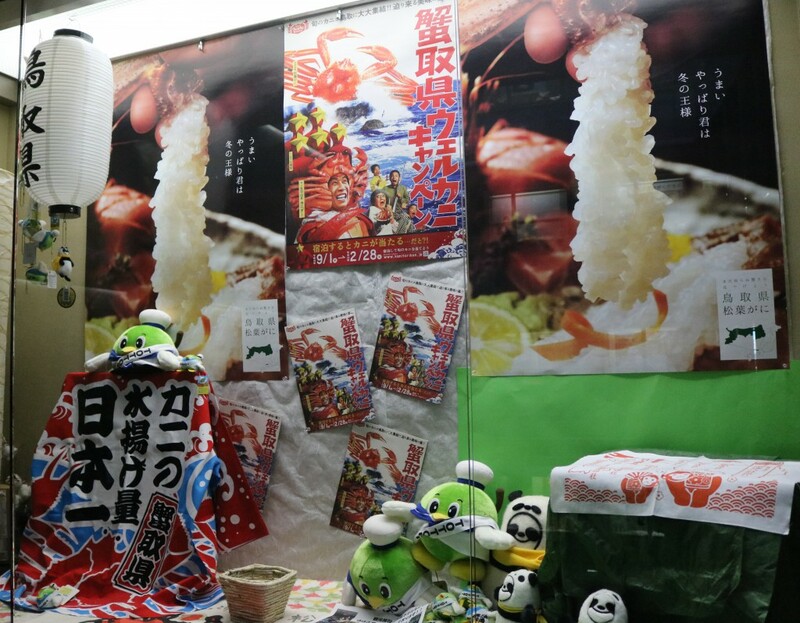 What has Tottori been doing to attract foreign visitors and foreign businesses? We are building a number of routes. First is air routes. In addition to Air Seoul’s flight from Seoul, a new direct route from Hong Kong started in September 2016, and we have had many visitors from Hong Kong. This has also made it more convenient to get to Tottori from Southeast Asia or Shenzhen, China, and I hope people will use this route. There are also a lot of cruise ships coming into Tottori now. 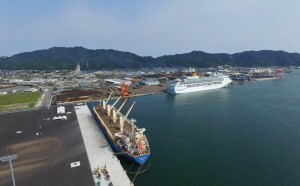 Ten years ago, when the Asia Cruise Terminal Association (ACTA) was established, Sakaiminato, Tottori was a charter member, which allowed the city to make connections with cruise lines. This fiscal year, 33 cruise ships have stopped in Tottori, and over 50 are expected in the coming fiscal year. Currently, port facilities are being updated in order to increase capacity. － That sounds like an effective way to bring in more tourists. The tastes of tourists vary between different regions, such as Asia and the West. In addition to shopping, Chinese tourists also appreciate walking along Mizuki Shigeru Road near the port and visiting historical sites in the area. Western tourists are interested in traditional crafts, and the impressive view of Mt. 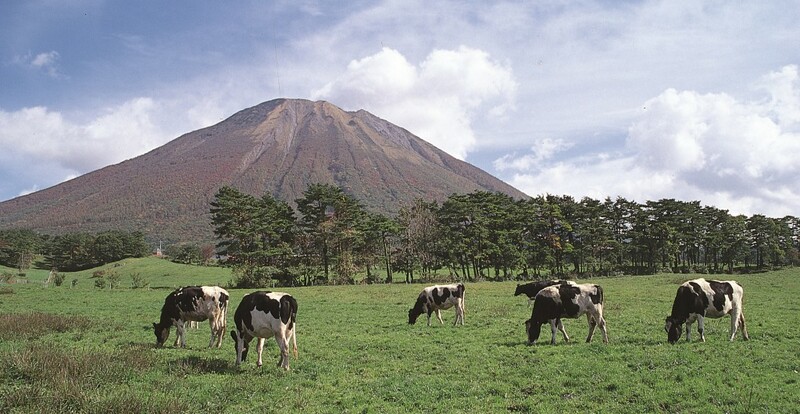 Daisen, which looks similar to Mt. Fuji. Our neighbor, Shimane Prefecture, is home to the Adachi Museum of Art, which is known for having the most beautiful Japanese garden in the world. 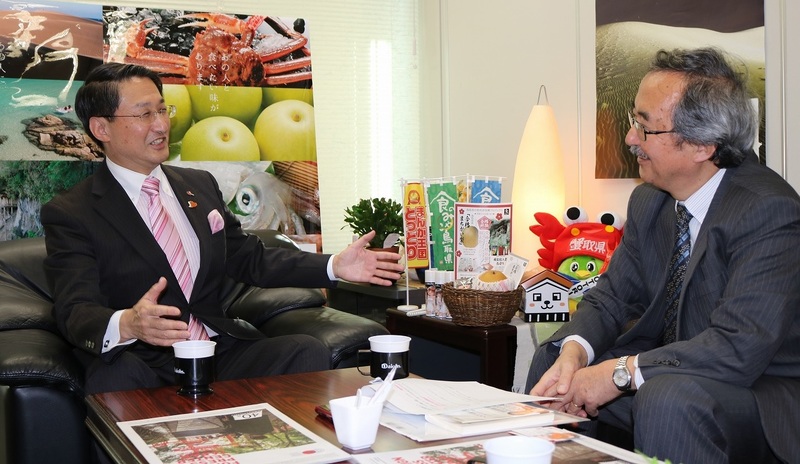 I believe that being able to cater to a variety of tastes is one of the strengths of Tottori and the San-in region. Please come and visit Tottori. We’ll be waiting for you!